The LS60THa is a complete Solar Telescope. 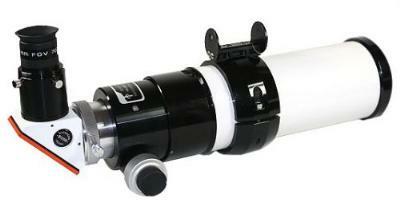 The refractor based system has a precision aligned singlet chromatic lens with a 60 mm aperture. The front singlet lens reduces the stray-light over an achromat by half. With the matched collimation lens set, it also fully corrects for on axis coma, astigmatism and de-centering aberrations and provides a full spherically corrected flat-field Solar-Telescope. The focal length is 500mm providing a ~4.5 mm image thru a 12 mm blocking filter. Fine adjustment is achieved with a Crayford style focuser with 10:1 reduction. An internal etalon with tune adjustment allows for a <0.8 Angstrom bandpass. Click the button below to add the Lunt Solar Systems LS60THa 60mm H-alpha Solar Telescope w/ 2'' Crayford focuser and B1200 Blocking Filter to your wish list.